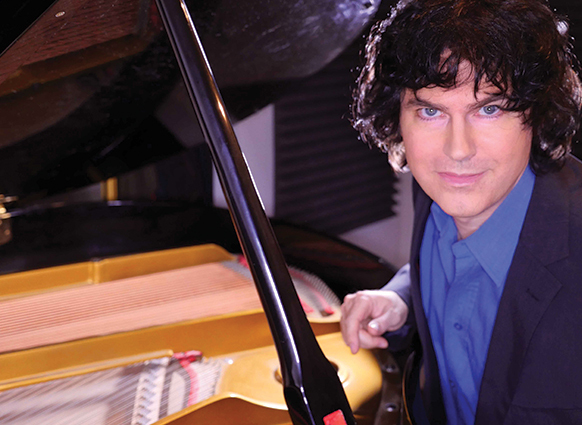 Karl Hugo is a pianist and a composer principally known for his solo albums, his work with figure skating champions and his role in the international success of Just for Laughs Gags. Karl’s large music library is aired in over 100 countries throughout the world on prestigious networks such as ABC, BBC One, CBC, Disney Channel, Disney Channel Asia, Fox Japan, Indosiar, MediaCorp Channels 5 & 8, Telemundo, TF1 and Zee Café India. 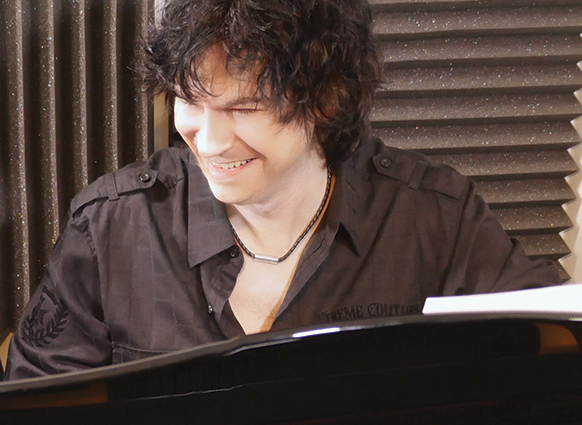 After contributing his talents as a musician, composer and arranger to a number of musicals such as Nine, The Sound of Music and Noémia (an original creation), Karl Hugo decided to return to his solo career. 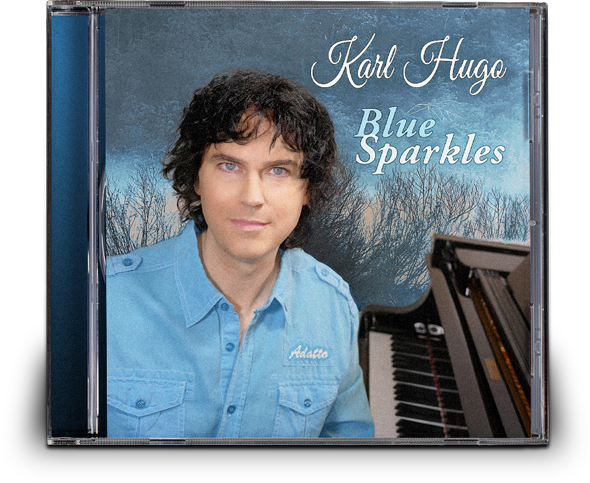 In 2015 he founded the Karl Hugo Music record label, christened his recording studio Studio Chimay, created a complete website karlhugomusic.com and finally, launched Blue Sparkles, an instrumental album on which he performs 12 original compositions on the piano. 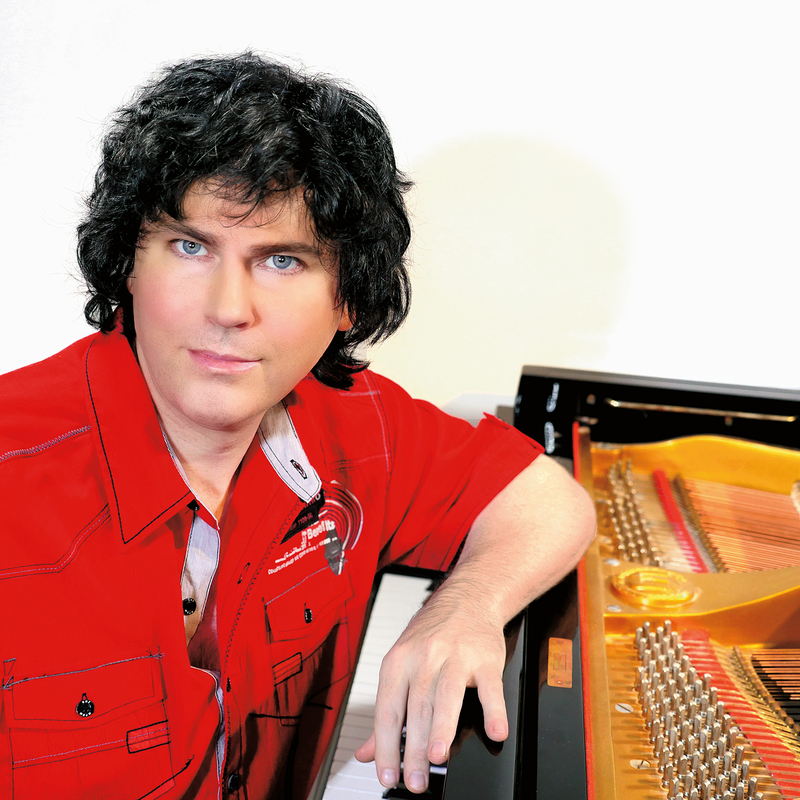 With close to 17,000 fans on Facebook (French and English pages), Karl’s efforts were rewarded, and he began to think about a sequel: Red Sparkles. 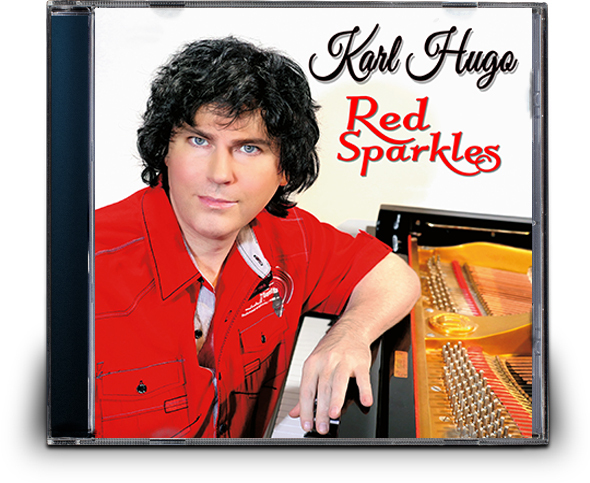 On Red Sparkles, as on his previous album, Karl Hugo creates a very personal blend of romantic, modern classical and popular music styles. 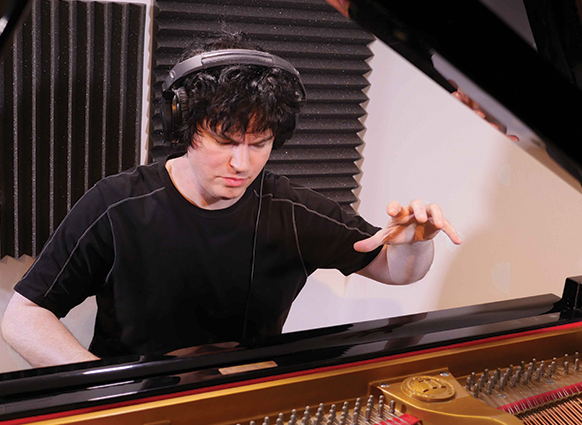 He is accompanied by a classical orchestra, enhanced by the presence of an electric bass, drum kit and vocals on certain songs. 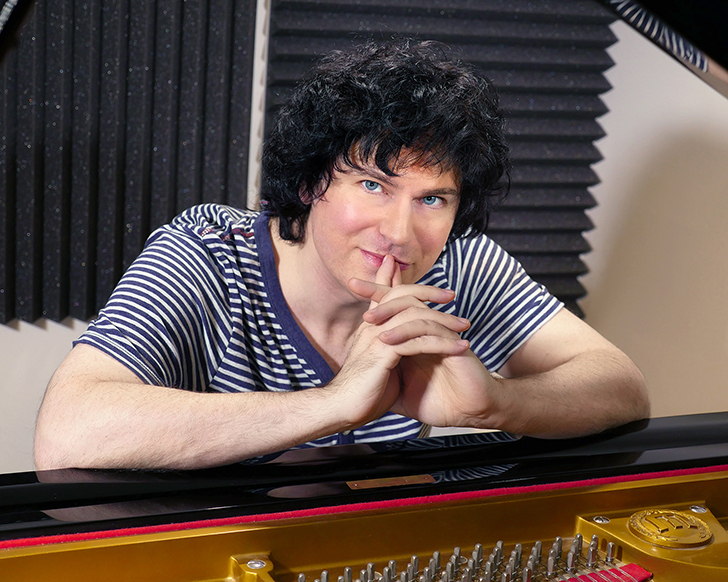 While preserving a certain musical consistency, Karl likes to vary his musical universe from one piece to another, offering us, for example, a ballad in three-quarter time with The Flow of Life, a soft rock piece with Middle Eastern flavour with The Princess of the Dunes, an Asian fantasia with Red Orchids, a hymn for piano and vocals with Hymn to Gaia and a power ballad with A New Beginning. 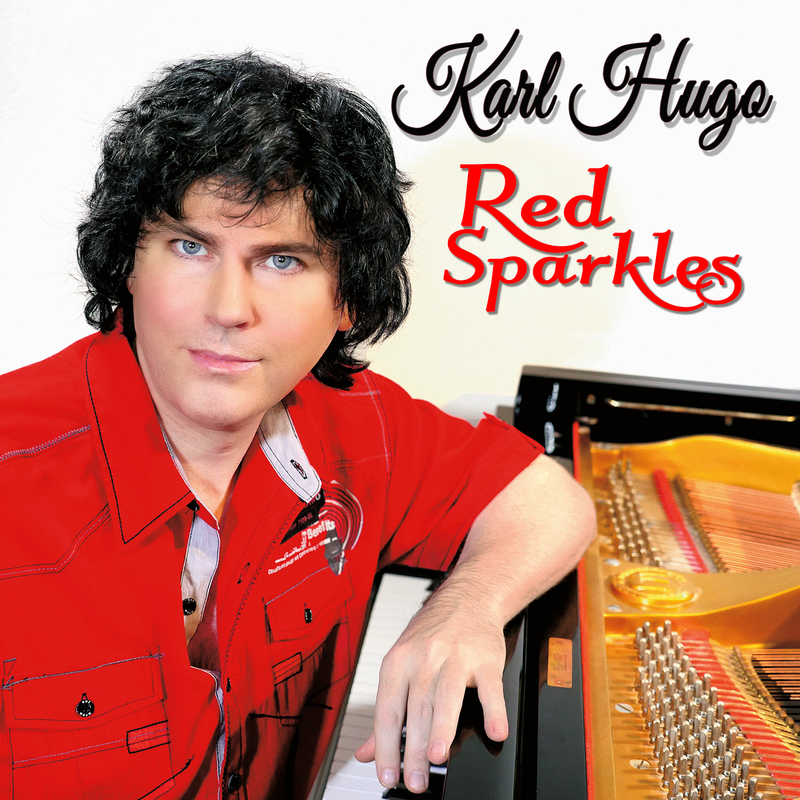 Karl Hugo has just launched his new instrumental album entitled Red Sparkles on which he interprets 12 of his own compositions on the piano, sensitively combining romantic flights with catchy instrumental pop melodies: a perfect Mother’s Day gift.